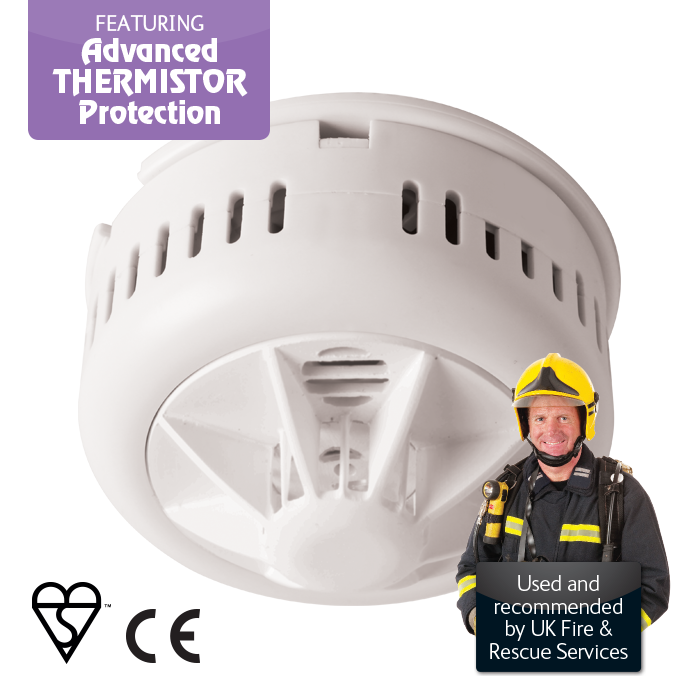 Long life heat alarm with sealed-in 10 year battery. Advanced Thermistor Detection controlled by bespoke software. Wireless interlink heat alarm with sealed-in 10 year battery.